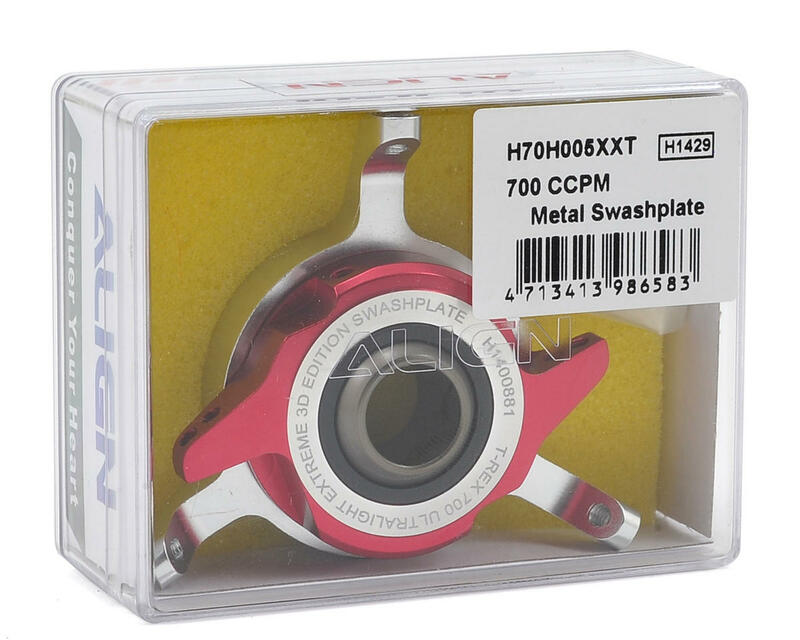 This is a replacement Align 700 CCPM Metal Swashplate. 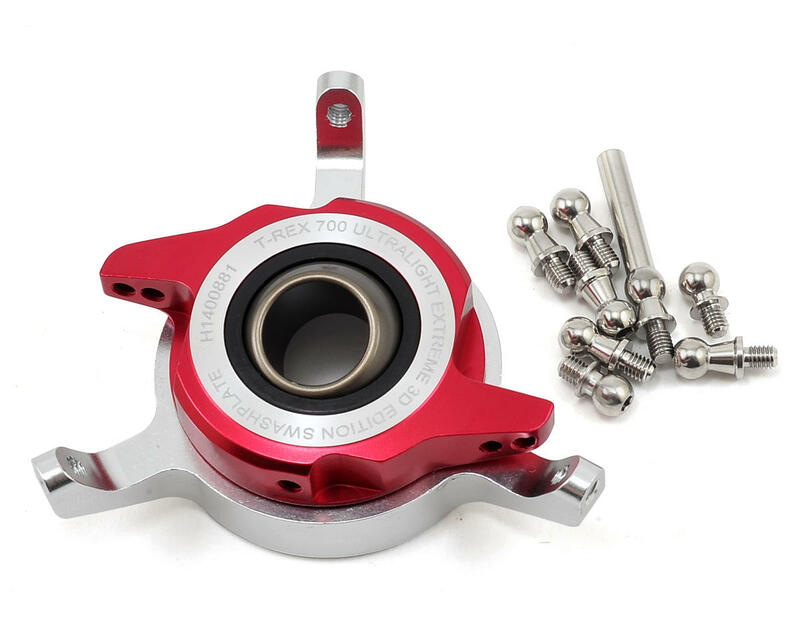 This 6061-T6 aluminum alloy swashplate is specially designed for both DFC and FL flybarless rotor head systems, improving linkage rod connection strength and minimizing detachment during extreme flight maneuvers. One special feature is the two ball attachment point option that allows pilot to choose between higher control resolution or faster maneuver response.